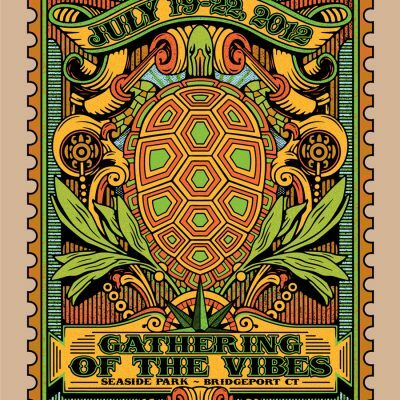 Hailing from our first year, before we were even called Gathering of the Vibes, this vintage “Deadhead Heaven: A Gathering of the Tribe” poster is now available for the first time. With it's attention grabbing bright yellow and pink color motif, you will be amazed at how much has changed over the years, and how much has stayed the same! 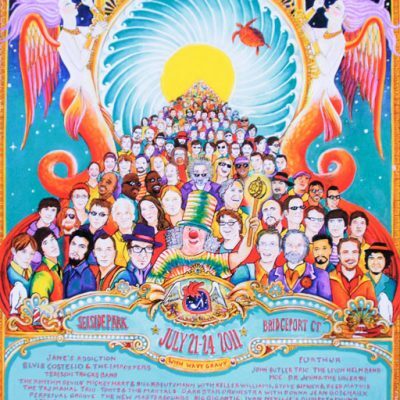 Bands from that year include moe. 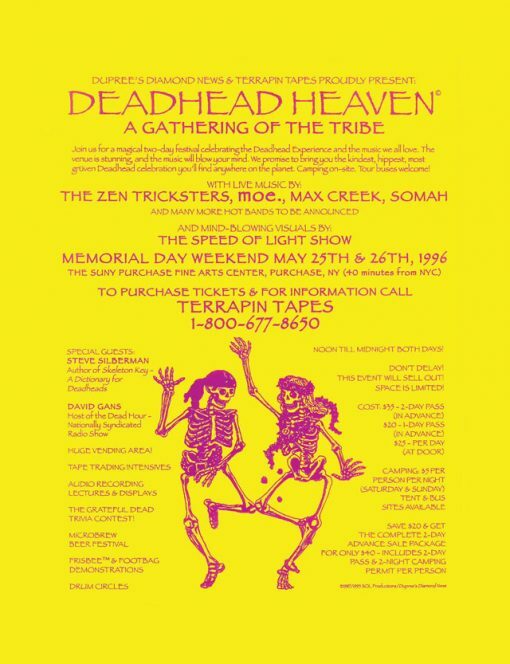 and Max Creek, who are still staples on the scene today! 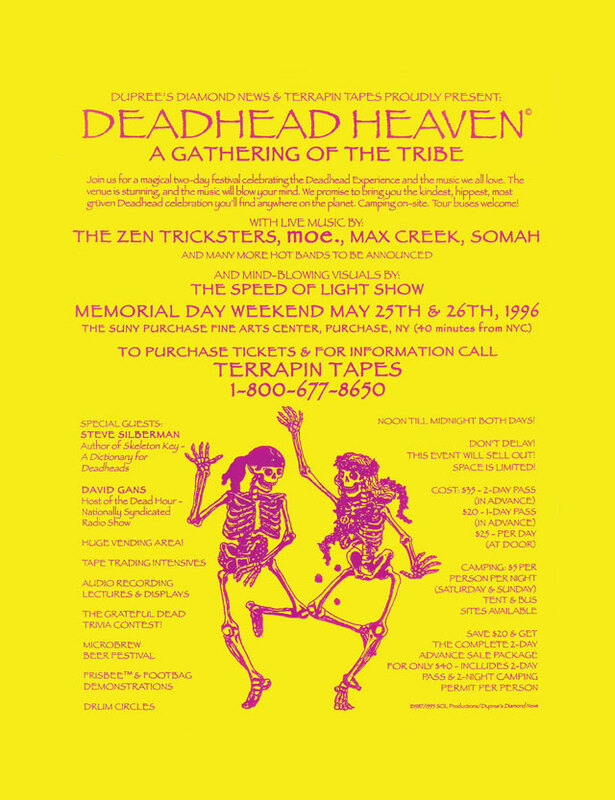 The official poster for DeadHead Heaven 1996.